HJ: There are two keys to rapid self growth — the first is a harmonious mindset and emotional state. The second is willpower, which translates to action. When combined, these two traits make a person unstoppable and they cannot help but turn their dreams into reality. It is a characteristic of all who achieve great things. Equal parts conviction and self discipline, it allows us to overcome even the most seemingly insurmountable challenges and obstacles. Willpower is also strongly related to desire. If we want something bad enough, the willpower often manifests itself as a result. Willpower is ultimately a force of consciousness in forward momentum. In a state of growth and expansion. And therefore it is a foundational component of the universe. It is a divine creative force expressed through us to all varying degrees, depending on how in touch we are with our dreams, desires, passions and true self, which is inherently unlimited. One of the key parts of our culture at Buffer is a focus on self-improvement. We each pick an area to improve on each week and share our daily progress and challenges, making it a social, supportive way to adjust, create or change our habits. There’s still a lot of work to be done for self-improvement to be effective, though. I’ve been through a bunch of different improvement focuses in the last few months, including positivity, running, reading more and learning French. Each one has been fun to focus on, but it’s hard to keep more than one new habit going at a time—partly because it takes so much willpower. Kelly McGonigal, PhD and author of The Willpower Instinct says willpower is a response that comes from both the brain and the body. The prefontal cortex (that section of the brain right behind your forehead) is the part that helps us with things like decision-making and regulating our behavior. Self-control, or willpower, falls under this heading, and thus is taken care of in this part of the brain. To be effective at controlling our urges and making sound decisions, the prefontal cortex needs to be looked after. That means feeding it with good-quality food so it has enough energy to do its job and getting enough sleep. McGonigal points out that one of the most replicated findings about willpower is that it seems to be finite—that is, we only have so much and it runs out as we use it. Trying to control your temper, ignore distractions or refuse seconds all tap the same source of strength. We can look at willpower like a muscle—it can get exhausted by overuse, but just like our physical muscles, there are some researchers who believe we might be able to strengthen our willpowerby training it. Okay, we know that we only have so much willpower and as we go about our day, stress and normal self-control depletes our resource. Let’s see what options we have for increasing the pool of willpower we have to draw from. To start with, we need to manage our stress levels, says McGonigal. Being under high levels of stress means that our body’s energy is used up in acting instinctively and making decisions based on short-term outcomes. 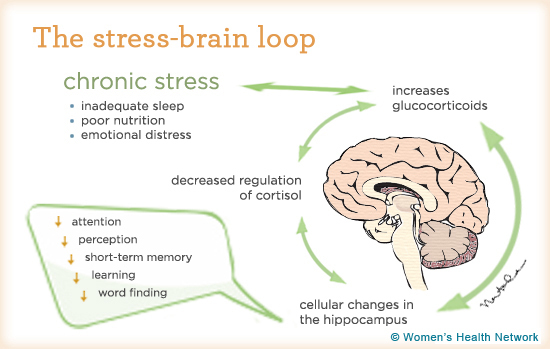 Our prefrontal cortex loses out in the battle for our energy when high-stress is involved. McGonigal says that stopping to take a few deep breaths when we feel overwhelmed or tempted can be a great start in managing our stress levels and improving our willpower. Every time you tell yourself “I can’t”, you’re creating a feedback loop that is a reminder of your limitations. This terminology indicates that you’re forcing yourself to do something you don’t want to do. Sleep deprivation (even just getting less than six hours a night) is a kind of chronic stress that impairs how the body and brain use energy. The prefrontal cortex is especially hard hit and it loses control over the regions of the brain that create cravings and the stress response. When the sleep-deprived catch a better night’s sleep, their brain scans no longer show signs of prefrontal cortex impairment. And if you’re wondering how much sleep is enough, here’s a rough guide: one of the most acclaimed sleep researchers, Daniel Kripke, found in a recent study that “people who sleep between 6.5 hours and 7.5 hours a night, live the longest, are happier and most productive”. 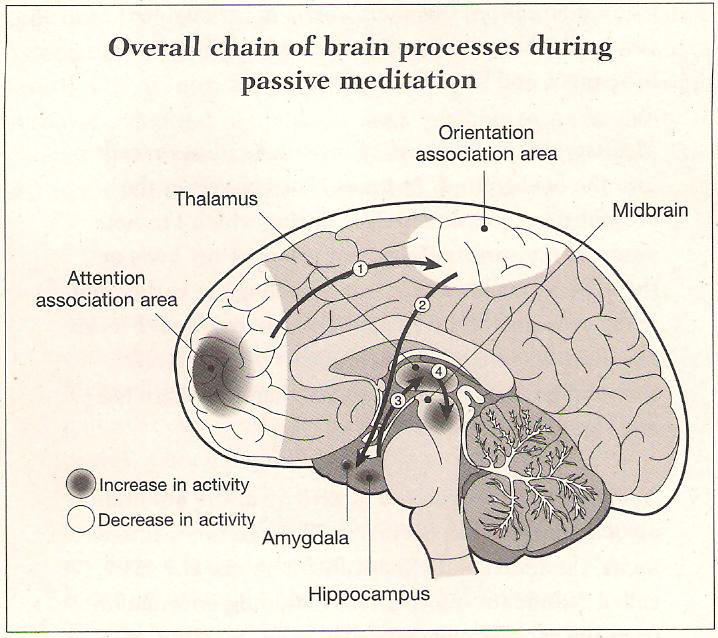 And it doesn’t take a lifetime of practice — brain changes have been observed after eight weeks of brief daily meditation training. Another great way to train the brain, that is often easily ignored or undervalued, yet can make you a lot more resilient to stress, and thus boost willpower, is regular physical exercise. Both relaxing, mindful exercise like yoga and intense physical training can provide these benefits, though McGonigal points out that we’re not sure why this works yet. Something as simple as eating a more plant-based, less-processed diet makes energy more available to brain and can improve every aspect of willpower. Postponing something you really shouldn’t have can be effective if you’re trying to break a bad habit. In Willpower: Rediscovering the Greatest Human Strength, Roy F. Baumeister explains that people who tell themselves “not now, but later,” are generally less tormented by the temptation of something they are trying to avoid (his example is eating chocolate cake). One last thing. You might have heard of a famous experiment using marshmallows to test kids’ willpower. What happens is a child is left alone in a room with one marshmallow for an undefined period of time. If they can resist eating the marshmallow, they’re rewarded with a second marshmallow at the end of the experiment. If they eat the marshmallow before time is up, they only get that one.